Posted: December 19, 2010 10:40 p.m. 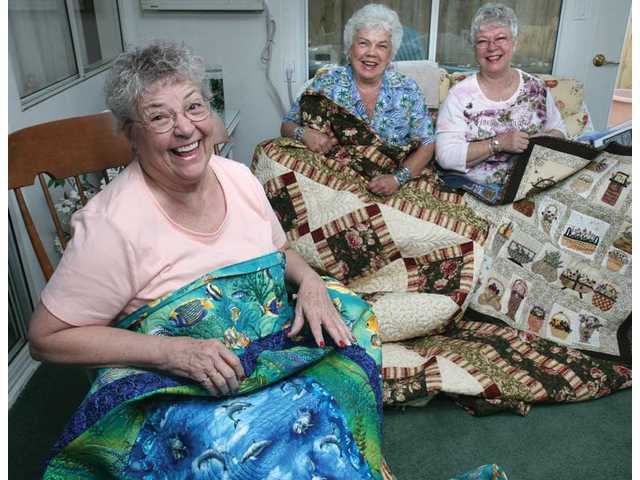 Updated: December 20, 2010 4:55 a.m.
Old Remnants quilting group members, from left, Ginger Grafues, Beverly Van Cleave and Pat Palmer display their quilted works at Grafues’ home in Santa Clarita on Thursday. Old Remnants has been meeting six hours once a month for more than a decade. Quilting. It’s an old-school art that hasn’t gone out of favor with the Old Remnants, a Saugus-based quilting group that has been meeting on the fourth Sunday of each month for more than a decade. On those days, up to 16 Old Remnants members get together for six hours of quilting, eating potluck dishes and talking. Van Cleave, a retired bank fraud investigator, met two of the Old Remnants founding members, Pat Palmer, of Newhall, and Ginger Grafues, of Canyon Country, while frequenting a now defunct quilting supply store in Saugus. Palmer, who teaches quilting classes, became interested in the art after living briefly in Pennsylvania, widely regarded as the capital of American quilting. There she often attended seminars and lectures on the topic. 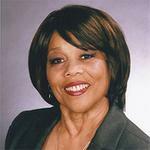 As such, she’s the de facto historian of the group. “Quilts came back to Europe from Asia, where men would wear quilted garments underneath their armor to stay warm. When Europeans began migrating to America, Palmer continued, women had a hard time importing fabric, which could take up to a year to arrive. Instead of starting new projects, they began adding scraps of fabric to patch existing quilts. “Basket Case,” Palmer’s hand-appliquéd quilt resplendent with silk ribbon embroidery and elaborately detailed basket patches, won a ribbon at the Glendale Quilt Show five years ago. While many of her comrades have turned to sewing their quilts on a machine, Palmer enjoys the process of making hers by hands. Grafues, a former dental office manager, found quilting in the 1990s. She was planning a church mission to South Africa with her husband and needed a hobby to take along. While the mission fell through, Grafues continued to quilt. It’s a family trait, Grafues said as she proudly unfolded a family heirloom quilt she inherited 10 years ago. The Grafues home features quilts throughout, draped on couch corners and hanging on walls, including a framed piece of colorful fabric that inspired the construction and motif of a screened-in back porch where dozens of quilts are stored. Violence Center and the Michael Hoefflin Foundation throughout the year. “Sometimes these women and children flee their home without anything, so they’re just thrilled to receive a quilt,” Grafues said. Each drag along is unique, accented with different fabric textures and designs, including a warm, fuzzy soft fleece backing. “It‘s something that gives people comfort, and we can whip them up in 10 minutes. It‘s so easy,“ Van Cleave said. After Hurricane Katrina, the Old Remnants sent a package of drag alongs for the youngest members of a church in Mississipi. While most of the Old Remnants are seniors, there are a few members under 50, and Palmer has seen an increase of younger people interested in quilting. “Since I started, quilting has become more popular. I think people want to go back and enjoy the process of working with their hands,” she said. This is reassuring to Palmer.